How Do You Design for Color Blindness? It is important to be certain that, whatever your design, you don’t rely just on colors to get your message across. Use an assortment of visual cues that will allow all viewers to understand the point you have made. You can do this by including an explanation of your image in the text. This will allow those who can’t easily see all of the color cues the same information as those who are not dealing with color blindness. 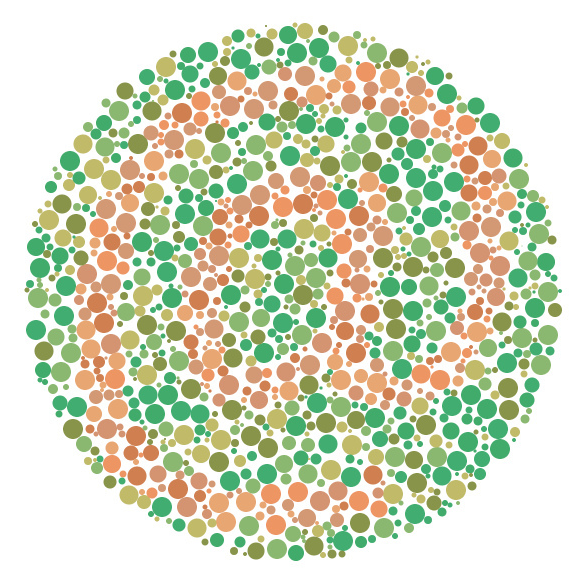 Because reds and greens are the most indistinguishable to a color blind person, be certain that if these are your main colors, an explanation is included. When choosing your colors, bear in mind that while a color blind person may not correctly identify every color, using different shades will allow them to see a difference. If you choose a bright green and a dark red the differences will be more apparent. Two dark or two bright colors would be much harder to distinguish. Designing charts with color blindness in mind is important. If you choose the wrong colors, you will have worked to create a chart that can’t be read by your color deficient associate. If, for whatever reason, your colors have to be close in brightness, be sure to add some texture. For instance, add some lines to the graphics to make the appearance different in a quick and easy way. This will make it a more readable chart for everyone. In the long run, it is not about what color you use in your design. It won’t make much of a difference if a user thinks your background is brown, when in reality it is a dark red. What matters is that it is a useable and understandable piece of work. Add enough contrast to make it readable, and add enough symbols, texture and shadow to make it interesting. All of those accessing your work will thank you.